Back to school and back to roller derby!!! We had a nice relaxing break in August and now we are training hard for our next home bout. First up is Rodeo City’s Posse, they will be taking on Jet City’s CarnEvil from Everett, WA. 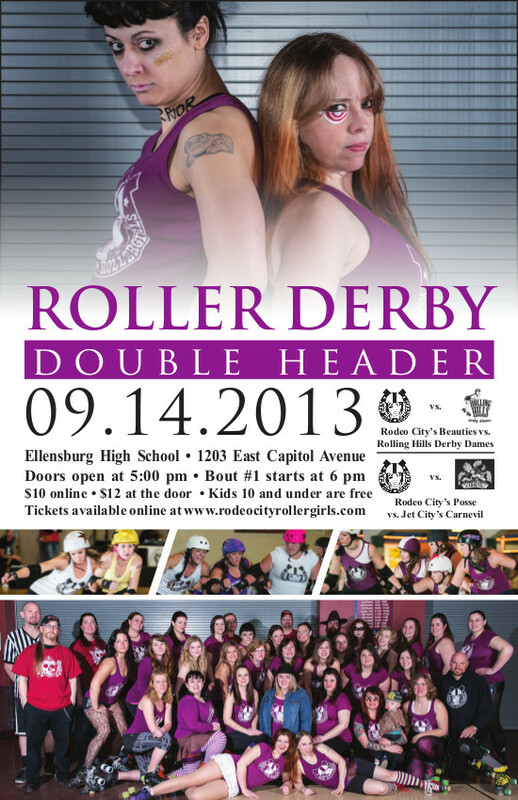 Rodeo City’s Beauties will be up next taking on Rolling Hills Derby Dames from Pullman, WA. RCR has battled against both of these teams since our first season in 2011, so there is a bit of good rivalry between both teams, which should make for some exciting derby! It’s true that teams change over the years and even last minute but you can bet all teams involved are going to bring their best game to the track!